My son Reuben’s places the above quote at the end of his e-mail. Recently Hemlock Grange hosted a membership seminar with Rusty Hunt the National Membership Director co-coordinating the activities. One of the last questions that Rusty asked the Grangers who had assembled for the meeting was, ‘Who does your Grange belong to?’ He went on to say that one of the problems with loving the Grange is that the members of the Granges feel that the Grange belongs to them. And then because it is ‘their’ Grange, they reject the idea that the Grange should pass on to new members. When I was the Scoutmaster of our local Boy Scout Troop, there was an unwritten rule that as parents involved in the troop, we all knew that our hands on direction of what happened with the troop ended when our sons were no longer eligible to be scouts. Therefore the leaders were constantly working to get the parents of the new scouts prepared to take over our troop when the older scouts parents moved on out of the scouting program. When Rusty began the seminar, he did so by putting Jody Cameron in charge. This was leadership by example and is in line with the quote at the beginning. Rusty doesn’t have the time to be the membership director for every Grange in the United States, so he did the next best thing by finding someone else to do the directing for him. Our goal as Grangers should be to bring new members into the management of the Grange with current leaders passing leadership onto them. 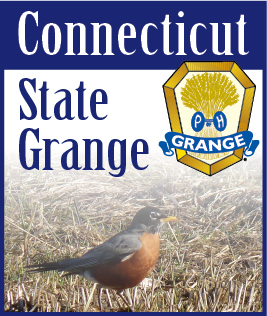 We should always be looking for ways to give our new members the credit for whatever our Grange is able to accomplish. It is my opinion that often times the leadership of the Grange falls to those who wish to see themselves as having attained a prominent position in the Grange. But when the quote at the beginning is considered it is easy to conclude that the opposite should be the better way. We love our Grange and the best way to keep it is by giving it away to our new members. And the best leaders among us should be the ones who are directing and helping those who do not have the same ability to lead. I have found that I appreciate it when I have someone like Edith Schoell advising me at our Pomona meeting to help me to improve the job that I am trying to do. I believe that it is common for individuals among us to want to be the ones with recognition. Let’s bring in new members and put them in charge. Let’s help them to do the jobs that need to be done. Let’s give them responsibilities and then the accolades that come with the job that is well done. Then as in the quote at the beginning they will say that they did it themselves and we will have been able to promote the Grange by giving it away to those who will be able to take our place as leaders.